We have lost the art of dreaming well. When a child dreams, the whole world changes. When we dream, we put on logical, personal and time limitations. This is not dreaming, but goal-oriented living. In the loss if our ability to dream well, we also lose passion to drive us. In our goal-oriented lives we do not live to our fullest potential. Our dreams have turned to lowly goals. Our passion has turned to practicing poor purpose. Our potential is suffering in our relative state of mind. We will never achieve more than what was possible for us to do when we last knew how to dream well. Instead of our dreams growing, they diminish in a world of realistic possibilities where you are not expected to flourish any more than your born circumstances, culture and pattern of life. There is more to life than the limitations humanity has set. Our world today says that if it is hard, it is impossible. If you fail, it wasn’t meant to be. And if it costs you, make sure you first know the price. But a dream state of mind says if it is hard, press harder. If it hurts, keep going. If you fail, find another way. You have successfully found a way that won’t work. Try another path and recognize that sometimes you need to create your own. If it costs you, you give everything. In a dream, there are no limitations — only obstacles. Are you dreaming in the realm of the untapped potential in you? Or are you living in the “realistic” limitations that allow you nothing more than the accomplishment of lowly goals of little value or worth to them? Can you be more than you have been? 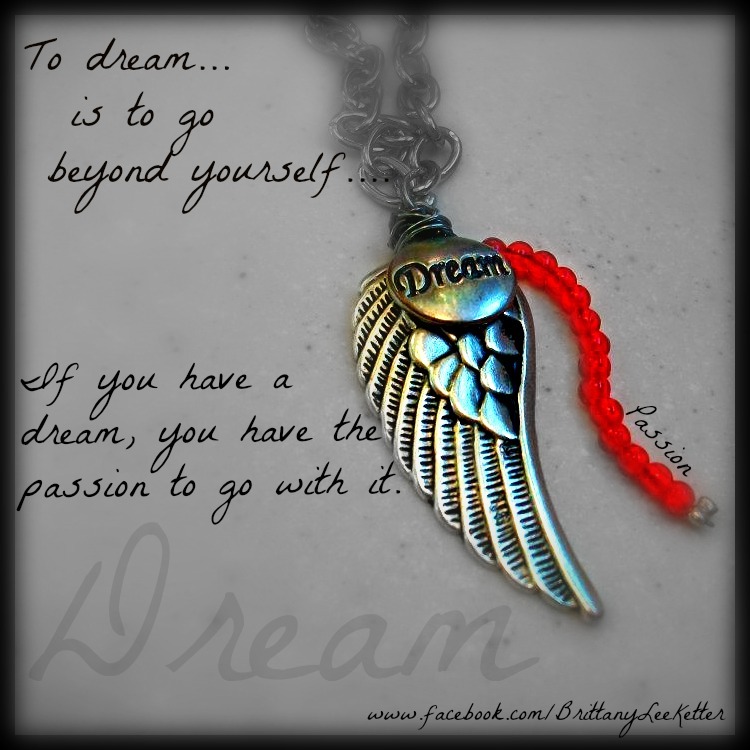 Aim higher and remember: To dream is to go beyond yourself.